It now feels very different here at Cherry Lakes to the conditions just a week ago. The heat wave is long forgotten, as heavy rain has already started to turn the grass green as well as cause the water temperatures to start to drop. 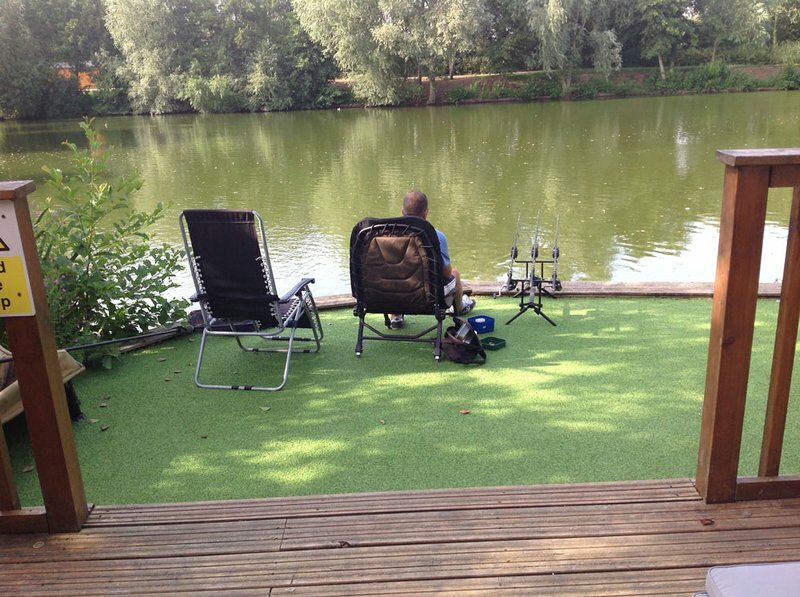 Last week was a good one across the complex with all anglers reporting good captures and a relaxing holiday. The Taylor’s who stayed in Pochard Lodge clearly enjoyed themselves and are promising to return next year. 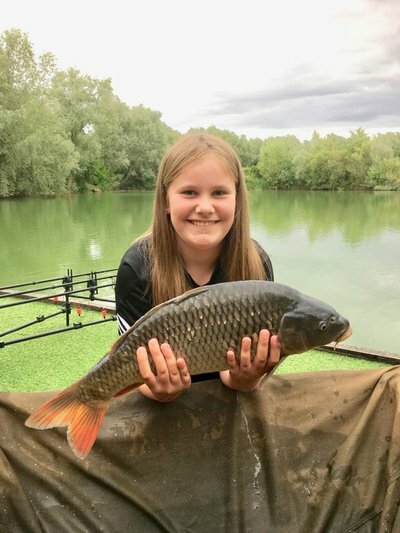 Hardly surprising given that both Paul (Dad) with a 20-04 Fully Scaled Mirror) and daughter Grace (with a 10-02 Common) both caught Personal Bests. As you can see from the photo below, Grace (age 12) was particularly pleased. Well done to you both. The fishing on Cherry Lake this weekend has been a little slower than recently. The heavy rain and cool wind has dropped the water temperatures quite quickly with the Carp not really liking it. Lee Capper in Osprey Lodge has had 4 Carp during his stay including two good Commons of 27lb+ and 26lb+. Terry Lambert who is staying in Cherry Lake Cottage was delighted with his first Cherry Lake Carp this morning when he landed a 31-08 Common. A new PB Common for him and our 105th member of the 30+ club. Well done to both Lee and Terry. Terry Lambert with his new PB Common. 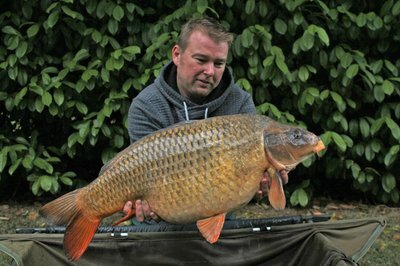 A 31-08 Common from Cherry Lake Cottage.